Spread the warm holiday wishes with delicate Christmas greeting cards. This easily customizable Christmas card template will help you to send personalized greetings to your family or everyone else that you care about. The original layout can be considered as a stunning design. But it is also available to add more embellishments to get your own Christmas card designs. 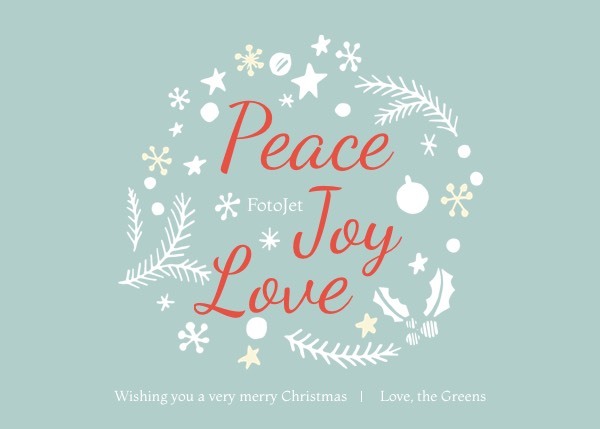 The artistic font styles and beautiful clipart images can definitely inspire you to come up with more creative Christmas card ideas.